All language learning materials are not created equally. Assigning the right learning level is usually under the mercy of a content editor or author. If content is improperly labeled into the wrong level then there will be drastic consequences for teachers and learners alike. Some language materials might be incorrectly classified as a higher level leaving beginner-level students confused. While other materials might be incorrectly classified at a lower level leaving advanced-level students bored or not challenged enough. In this blog post, we’ll reveal how an automated, artificial-intelligence-driven, CEFR* tagger mitigates these pains. While an author has the best intentions to assign the correct reading level, humans are still subjective and prone to error. Errors such as subjective decision-making, biases, or simply fallible data-entry can make or break the accuracy of a language book, text, assignment and so forth. 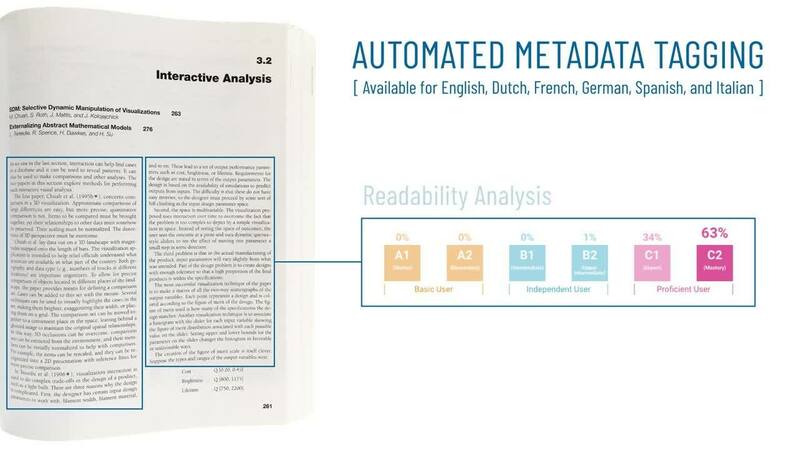 What we’ve found, with many of our customers, was that often their metadata (data describing their content), such as CEFR levels, was misspelled, incorrectly applied, missing, partially missing, or abbreviated incorrectly. Because their metadata quality wasn’t sufficient enough, editors had to do extra work on figuring out which content needed to be corrected, reproduced, and which content could be reused. In effect, these tedious processes of cleaning up the content can push back publishing cycles and impair publishers from producing high volumes of language books, tests, and other materials used to teach languages. Because authors spend more time on cleaning up the content, publishers - on a high level - have less time to develop new products that would improve their publishing cycles. This is why EDIA has developed a reliable and objective CEFR classifier that labels any language-learning content into the correct CEFR level. When one of our our customers - Malmberg Publishers - turned to 360AI to mitigate the inaccuracy of labeled language content, it achieved a 95% accuracy rate for properly tagged English content. Instead of replacing humans with machines or artificial intelligence, editors and authors can leverage artificial intelligence as a tool to improve their work. The CEFR tagger can reveal where the missing gaps are inside the content. It also shows the metadata quality and accuracy, therefore enables editors to delegate the right content into the correct language learning level. Overall, correctly tagged and high quality content saves time and resources for publishers and therefore, enables publishers to publish content faster. 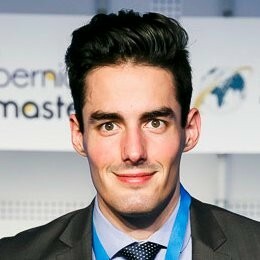 If you are interested to learning more about our CEFR classifier, please schedule a call with Jozef Misik, Commercial Director at EDIA.